Sermon preached on Hebrews 13:7-17 by Rev. 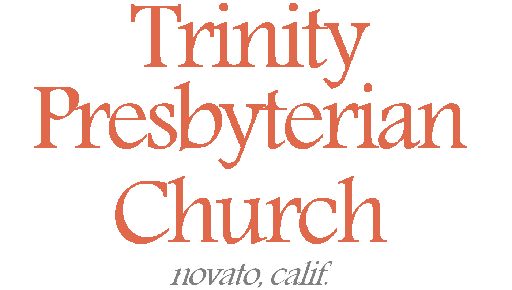 W. Reid Hankins during the Morning Worship Service at Trinity Presbyterian Church (OPC) on 3/17/2019 in Novato, CA. Sermon preached on 1 Timothy 6:1-2 by Rev. W. Reid Hankins during the Morning Worship Service at Trinity Presbyterian Church (OPC) on 5/7/2017 in Novato, CA. Sermon preached on 1 Samuel 14:24-52 by Rev. W. Reid Hankins during the Morning Worship Service at Trinity Presbyterian Church (OPC) on 4/12/2015 in Novato, CA. Adult Sunday School class led by Rev. W. Reid Hankins at Trinity Presbyterian Church (OPC) on 3/4/2012 in Novato, CA. This week we began a new series to consider the Bible’s perspective on differing relationships, institutions, and authorities that we are find ourselves in life.